Friends of Dreamland is a non-profit group committed to rebuilding community through the rich history of the Dreamland Ballroom on the top floor of Taborian Hall. 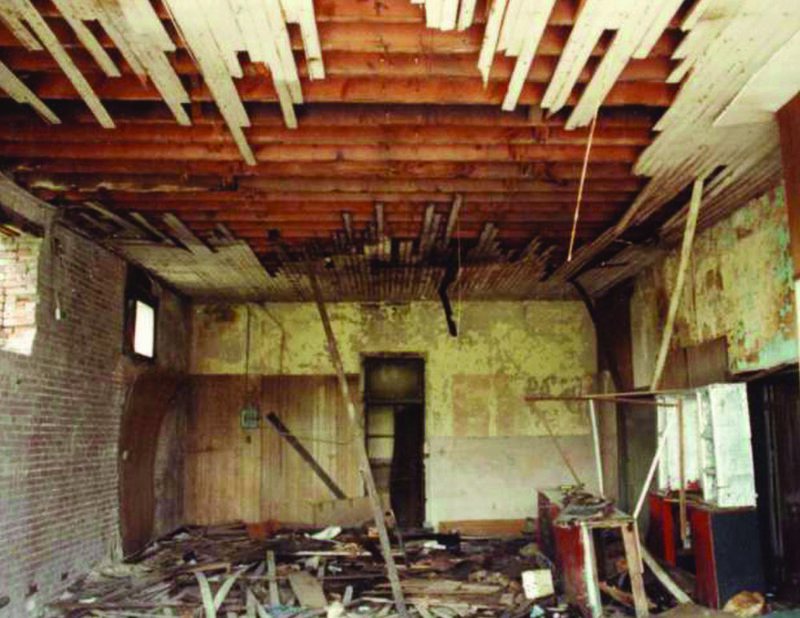 Taborian Hall has been placed on the National Register of Historic Places by the United States Department of the Interior and the Arkansas Historic Preservation Society. 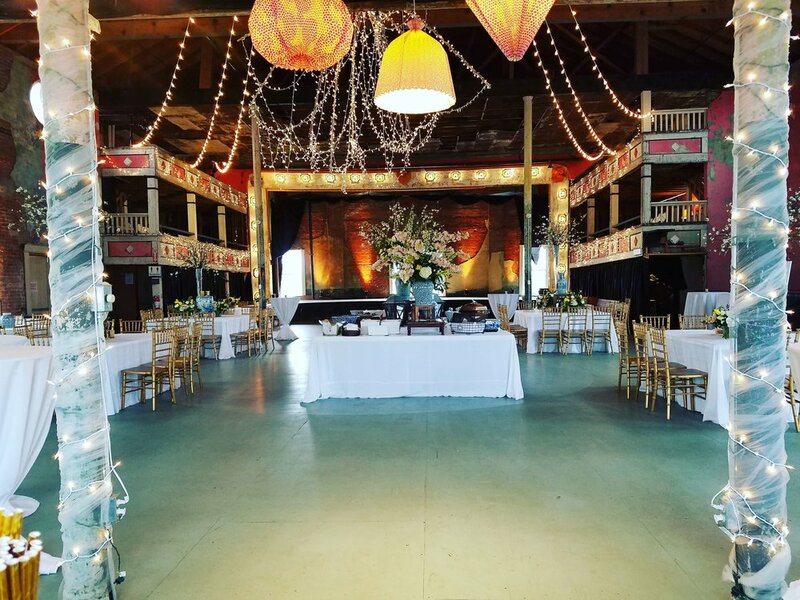 Dreamland Ballroom in Taborian Hall decorated for a wedding event. 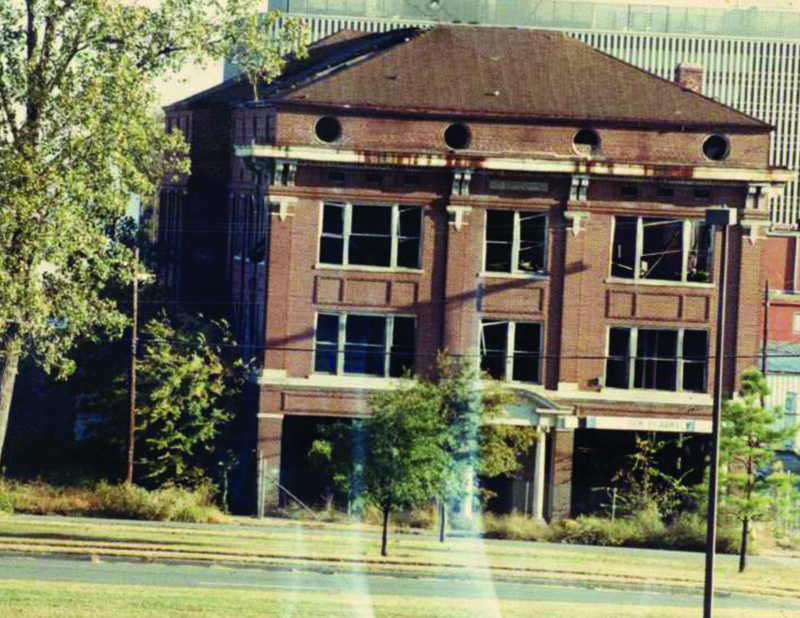 I first fell in love with the Taborian Hall from its outside appearance, a stately, three story, red brick building, standing alone on I-630, abandoned, with a huge hole in the roof, letting in the sun and rain. I always envisioned, my company, Arkansas Flag and Banner, housed in a building of such grandeur. After driving by many times, I finally got up the courage to come inside. Stepping over debris and skirting the homeless people, I worked my way to the third floor and… it was beyond love at first site. Because the roof was missing, birds were flying around and the sun was illuminating the scene. Staring across the open hole, in the floor, to the Dreamland stage and box seats, I had a feeling that was indescribable, a kind of euphoria. It could have been because I was pregnant, with my third child, and my nesting instincts were heightened, but whatever it was it sent me on a chain reaction that I have never regretted. I love this old building and have had many offers to purchase it, renovate it, make a club of it, or some apartments and even a school, but I keep to my original vision. Maybe not the best business decision, but a decision of the heart; to renovate the Dreamland Ballroom into an event center to be shared with the whole community. If you are ever lucky enough to go upstairs and see the Dreamland, I think you will feel its magic too. I have become accustomed to the aura but people tell me, upon seeing it for the first time… it still feels indescribable. Anyone who has ever done any remodeling knows how hard it is to live in the place you are remodeling. It is the same for Taborian Hall and the Dreamland Ballroom because a business is housed within the building. Arkansas' Flag and Banner has been in business for nearly 4 decades in Little Rock and in the last 20 years the business has been housed within the historic walls of Taborian Hall. 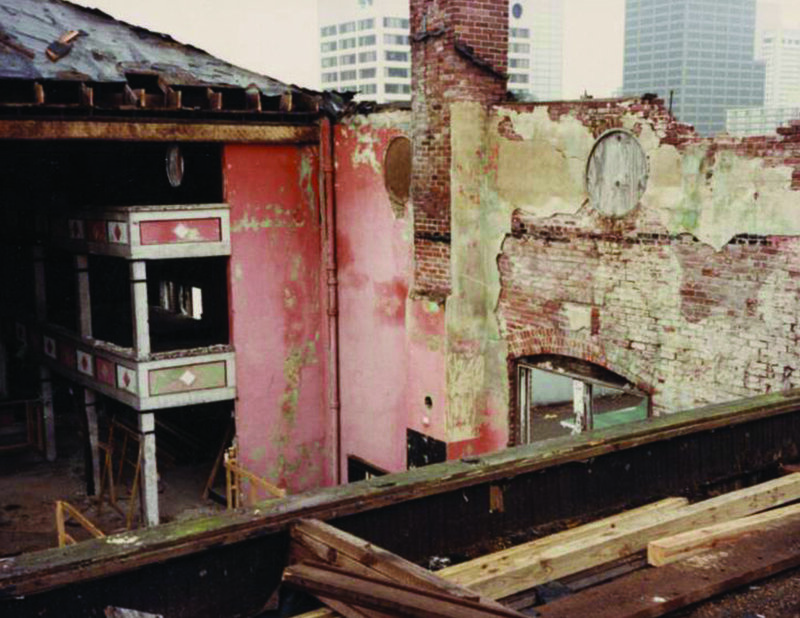 While renovating the Dreamland Ballroom workers had to endure falling debris from the floor above, skill saws, hammers, air compressors and other bumps and banging while trying to do business on the phone or with customers in the showroom on the 1st floor. The Friends of Dreamland are grateful to the employees at FlagandBanner.com for having been such great sports about the renovation process over the years. There is still much more to do in the future and rather than being resigned about future construction projects, the employees are excited about the future of Taborian Hall and the Dreamland Ballroom. Below are photos taken of the building at different stages of the renovation process. Also you'll find architectural drawings of what they hope to do in the future as well. Such as a handicap accessible elevator so those with physical disabilities can easily tour Dreamland and enjoy the events held there.